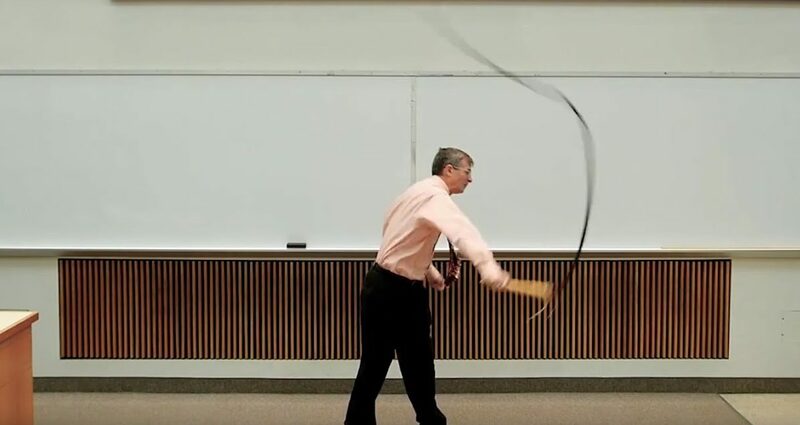 Does a whip Create a Sonic Boom? A whipcrack is produced when a section of the whip moves faster than the speed of sound, thus creating a sonic boom. As early as 1905, physicists understood that a whip crack is a sonic boom produced when some part of the whip reached a supersonic speed. The creation of the sonic boom was confirmed by high-speed shadow photography in 1927. More recently, accelerations of the tip were recorded at 50,000g and the speed was measured at twice the speed of sound (Mach 2). Whipcracking is the act of producing a cracking sound through the use of a whip. Originating during mustering and horse driving/riding, it has become an art of its own. A rhythmic whipcracking belongs to the traditional culture among various Germanic peoples of Bavaria (Goaßlschnalzen), various Alpine areas (Aperschnalzen), Austria and Hungary (Ostorozás). Today it is performance art, a part of rodeo shows in United States, a competitive sport in Australia and increasingly popular in the United Kingdom, where it crosses boundaries of sport, hobby and performance.